Every home or business needs protection in some shape, form, or fashion. Sometimes, the locks on your doors just aren’t enough. Call Catawba Valley Fence to add that extra measure of security around your home. Located in Vale, NC, we offer a wide variety of fencing options so that you can maintain your privacy, a well as keep intruders away. 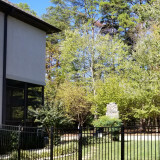 Piedmont Fence began operation in 1980 with five employees and one service truck from an old log cabin in the suburban area of the Piedmont Triad, North Carolina. Over the past three decades, we have grown and expanded to a new facility in Northern Davidson County with several crews and an access control division. We are proud to be part of the growing "Piedmont" region. Piedmont Fence offers a wide variety of residential and commercial fence products from the industry's leading manufacturers. From traditional styles to custom designs, our sales staff can meet with you on site for a free estimate to help you determine the best solution for your fencing or gate entry project. 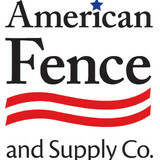 Dixie Fence Builders is now second generation Family Owned & Operated. It was started by Tom Moose in October of 1969 and was ran by him and his four sons Barry Moose, Wayne Moose, Bronson Moose and Randy Moose whenever they were needed for installations. 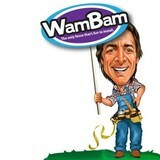 Barry Moose bought the business from his father in May of 1991 and took over as Dixie Fence Builders Owner. Since then, Dixie Fence Builders have been very active in new fence installations in the local service area and have seen a lot of changes in the custom fence installation industry over the years. We are Fully Insured and Our Immediate Family still make up our installation teams, so you can trust that we will respect you and your property while we are on-site. Our customers seem to really appreciate the fact that we personally perform the work that we quote and sell. We guarantee our installation work and our building materials to be as specified. 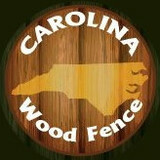 Your Denver, NC fence installation and repair professional will work with you to create your ideal fence. Find a fence contractor in Denver, NC on Houzz. 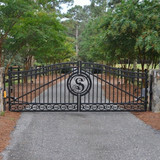 Narrow your search in the Professionals section of the website to Denver, NC fence contractors. You can also look through Denver, NC photos to find examples of fencing and gates that you like, then contact the professional who worked on them.